Places are limited and are offered on a first come first served basis. If you would like to book your team a place simply fill out the form below. You will receive a reply within 48 hours to confirm your teams place, following this you will receive an invoice for payment to secure the place. As part of our processes and insurances we must ensure that we have contact details for all parents and guardians of the children participating. As soon as we work with a child we in effect own the duty of care and our insurance covers the children. Please could you pop all contact details in the form below. Unfortunately without this information we simply will not be able to process your booking. Please tell us what age group your team currently play at and which league they play in. Please provide details of all medical conditions any player within your team has that we need to be aware of. I can confirm that I agree with the above terms and conditions and by clicking Submit I am electronically signing to this. 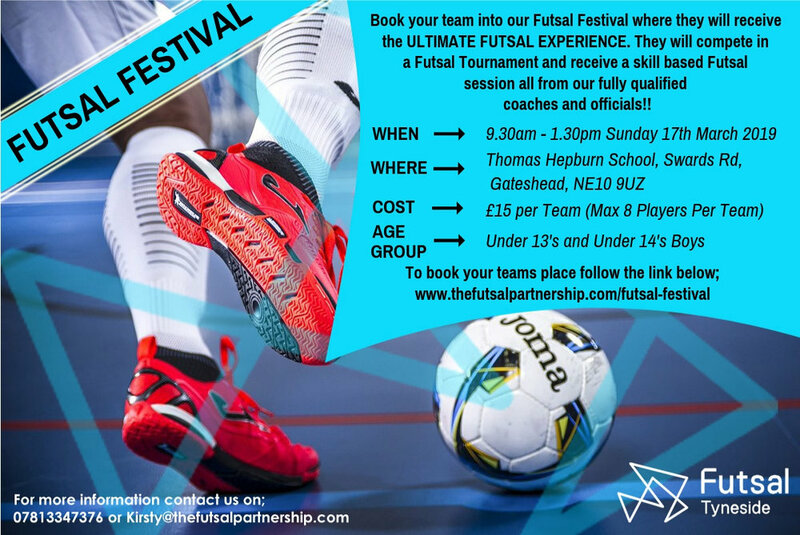 We look forward to meeting all of the kids and seeing them play whilst also being able to give them a taste of what we do here at Tyneside Futsal!